I am a specialist in Pediatrics and childhood cancer, with special dedication to Pediatric Neuro-Oncology. I'm an associate professor at the University of Barcelona. I have written more than 50 reviewed scientific articles about my specialty and various book chapters. I also review scientific articles from the Clinical Translational Oncology journal, among others. I am a member of the group of brain tumors of the International Society of Pediatric Oncology (SIOP), to which I belong since 2000. In addition, I am a member of the Spanish and European societies of Oncology and Neuro-Oncology. PhD in Medicine. University of Barcelona, 1992. Paediatric specialist through Resident Medical Internship Training (Hospital Clínic, Barcelona), 1988. Degree in Medicine. University of Barcelona, 1984. Researcher in the area of cancer at the Sant Joan de Déu Paediatric Research Institute. 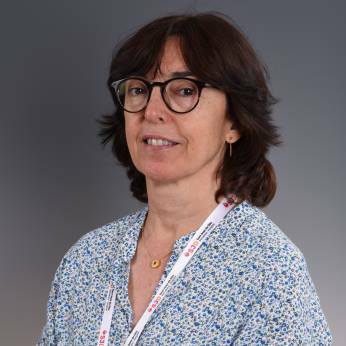 Director of the Paediatric Oncology Master’s Programme of the University of Barcelona since 2005. Associate professor at the University of Barcelona (UB) since 1994.